While the team was in Arizona for the ASTRA Toy Show we had a chance to meet and hang out the Herrera family. 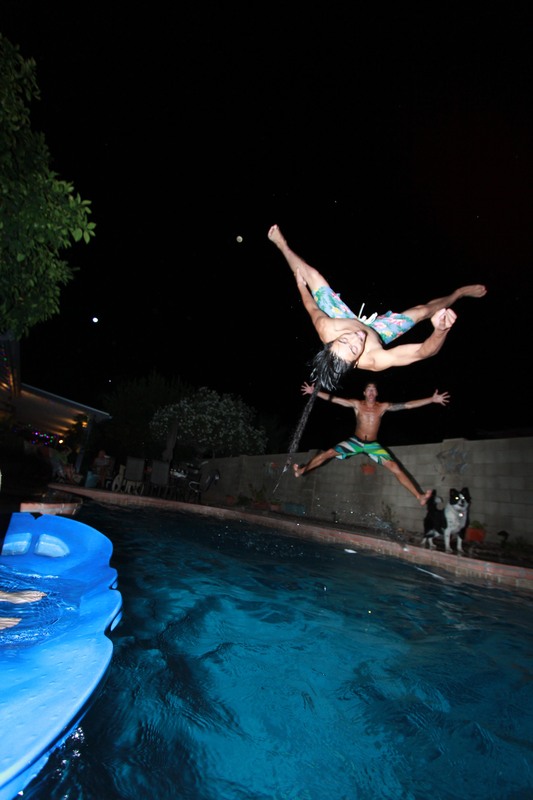 Burgers, drinks, a pool, and an epic diving board! The weather was amazing at night! It was midnight and over 90 degrees outside! Everyone on the team comes from some corner of the action sports world so we immediately gravitated to the diving board. 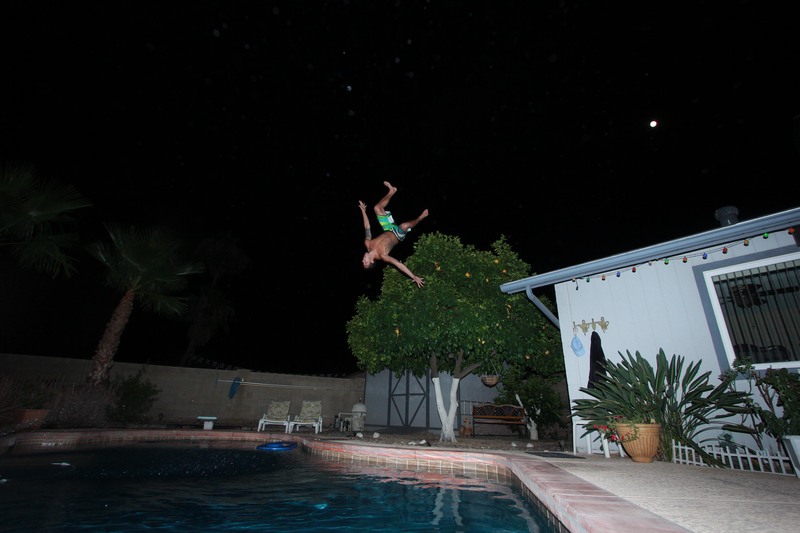 Some epic dives, belly flops, and cannon balls happened that night. When your on the road and traveling nothing beats hanging out with a local family. Huge thank you to the Herrera family for the hospitality and letting TJ jump off your roof!